On July 4, 2017 the topping out ceremony of the VIVO! Krosno shopping center took place. 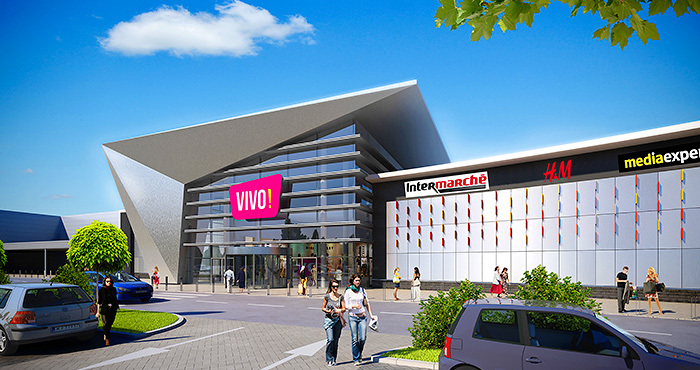 A 6 ha plot is being developed into a 20,500 sqm gallery anchored by the most popular international and Polish tenants such as Media Markt, H&M, Helios, Reserved, CCC, Deichmann, Martes Sport, Rossmann, Jysk, Kik and a Frac food store. VIVO! Krosno is after the VIVO! Stalowa Wola shopping center which opened in November 2015, the second joint venture project of Acteeum and Immofinanz. The grand opening of VIVO! Krosno is planned for September 29 this year.